Successfully Added Bluetooth 4.0 Smart Watch - 1.54 Inch 3D Screen, iOS + Android App, Call Answering, Notification, Heart Rate Sensor (White) to your Shopping Cart. A 3D curved glass display, metallic trim and leather wrist strap combine to bring a touch of class and sophistication to this stylish smart watch. It’s a fantastic accessory suitable to both men and women and certainly one that will catch people’s eye. This great looking timepiece not only looks good but is packed full of practical features and functions. An IP65 rating protects against most water exposure while the heart rate sensor provides quick easy to view pulse measurements as well as a cardio tachometer, great for seeing how much your pushing yourself as you work out. With a built in pedometer you can track the steps you take each day and set targets to keep you active. The phone will also calculate the approximate calories you have burned off and can remind you if you have remained stationary for too long. This smart watch is a competent stand alone device but really shines when paired with your Android or iOS phone, just scan the QR code on the watch or visit your app store and you can unlock a new world full of potential. Once paired with an Android or iOS device you will receive notifications on your wrist from Facebook, Twitter, email and all other important sources, as well as be able to answer and make calls directly without the need to get your phone out. This need and stylish Smartphone will have you looking like a secret agent and can be used as a remote trigger for your Android device. A 280mAh battery brings enough power to see you through the day and with its 1.54 inch touch screen display navigating the multitude of functions couldn’t be easier. 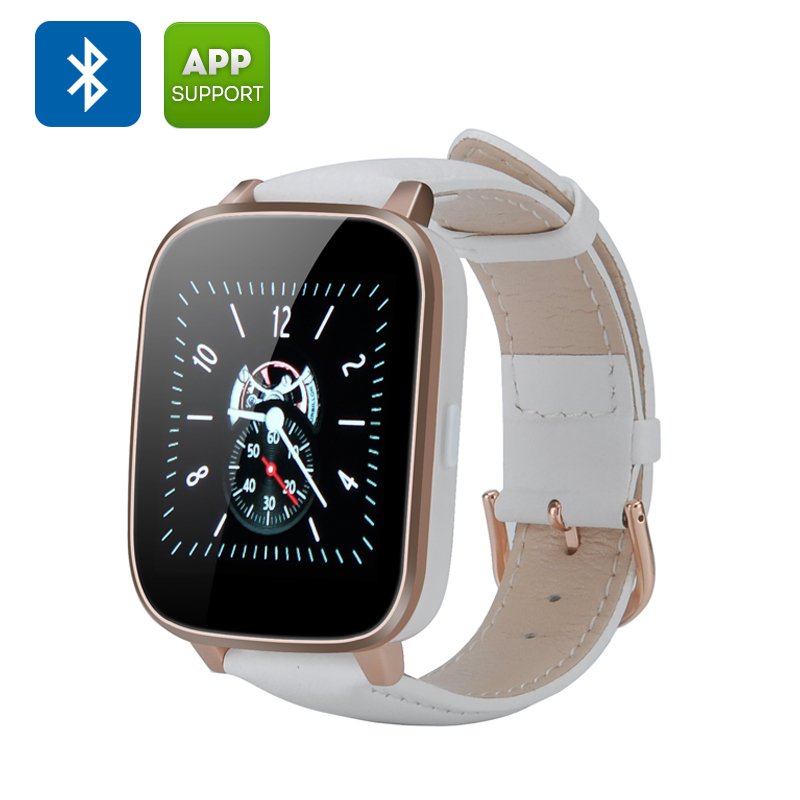 This BT 4 Smart Watch comes with a 12 months warranty, brought to you by the leader in electronic devices as well as wholesale Bluetooth Watches.. Excellent value for the quality of this watch. I was really surprised, the band is top quality. I have a iPhone 5c and it connects perfectly. I'm getting another one for my daughter, great way for you to have all the functions of your phone without having to pull it out every time. Just received it a week ago and nothing to report just yet.